Not so long ago there was a time when the Giro di Lombardia represented the final curtain call of the racing season. This year, as Paolo Bettini scored yet another brilliant win in the ‘race of the falling leaves', the racing season was well under way in the Southern Hemisphere with the final stage of the Herald Sun Tour in Australia on the same day as the ‘Lombardia'. While mainland Europe is the undisputed epicenter of elite cycle racing, there is no doubt that our sport is becoming increasingly global. The UCI would like us to think that it is their enlightened efforts that are feeding this expansion. In reality they are reacting to the powers of modern communication, the ease of travel and the global nature of big business. Races like the Herald Sun Tour exist all over the world and many have very long and proud histories. The internet, streaming video and TV often bring us live reports from these distant races. Businesses based in one part of the world commonly reach out to distant markets through sports sponsorship. In recent years it has become the fashion for many of the elite teams to head for the oil rich state of Qatar , Northern Africa in January. Racing under hot sun and over desert roads, this race is not a glorified training bash. Already the stars are working hard to hone their form for the upcoming classics and early stage races. 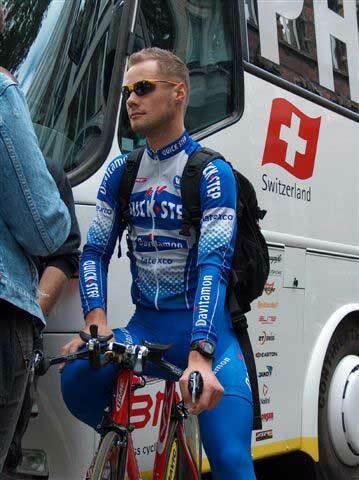 Tom Boonen (Quick Step) opened up the hostilities for 2005 by taking the first two stages. Robbie McEwen (Davitamon-Lotto) benefiting from his season ‘down under' took a stage as did Mario Cippolini (Liquigas-Bianchi). However it was the well drilled and well trained CSC squad that mid-race put in the time differences that gave them 1,2,3 on the GC podium. Looking back it is now easy to see that Qatar gave us a window into the coming season. Boonen and McEwen each scored 14 victories during the season. CSC claimed the overall Pro Tour team victory but Boonen's Quick Step team gained arguably the most prestigious tally of victories including the Tour of Flanders, Paris-Roubaix, The Championship of Zurich, Giro di Lombardia and of course the World Championship RR. Such results belie a common criticism that modern riders race less than their forebears. The actual days of racing may be fewer but the season for many still stretches from January until October (unless you are Australian and head south during the northern winter months). A major highlight of the 2005 season was the emphatic dominance of Tom Boonen which resulted in wins at the Tour of Flanders, Paris-Roubaix and the World Road Race Championship. In Belgian Cycles (October CR feature) we looked at Belgium 's consistency in bringing the world a truly great champion every decade. Tom is proving to be the latest in that long and illustrious history. However Tom's team (Quick Step) also delivered many other significant results throughout the season. Injury and other health problems gave their Italian star Paolo Bettini a challenging start to the year but by the time of the Tour de France he was getting back to his winning ways. Hungry for a big result he produced an astounding ride at the Championship of Zurich in August where he won alone by nearly three minutes. Such dominance of the elite pro peloton is rarely seen these days and his ride was a case study of aggressive racing at its best. Come October Bettini was still in sparkling form and although he was not alone at the finish of the Giro di Lombardia his winning ride was considered by many to be as outstanding as Tom Boonen's spring classics wins. One would think that such performances from one team would have resulted in either the individual and/or team award in the season long Pro Tour. Unfortunately the vagaries of the UCI's Pro Tour points system denied Quick Step both awards. However we should not detract from Pro Tour winner Danilo Di Luca who was a consistent winner and one of the few riders to excel in both single day races and stage races. Likewise Bjarne Riis directed his powerful and highly motivated squad into the Pro Tour team award. Overall race fans were rewarded with some brilliant racing. 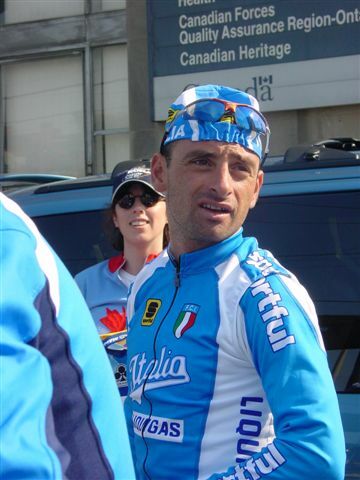 Alessandro Petacchi was virtually unbeatable in bunch sprints and his season netted him 25 victories. Bobby Julich, having been “re-engineered” by Bjarne Riis had his best season in years with the Paris-Nice, Criterium International and the Eneco Tour amongst his biggest wins. While there is much criticism towards the Pro Tour there is no doubt that it has boosted international participation in many races. The most notable was the Giro d'Italia which boasted its best field in many years. The race itself started with an almost surreal night time prologue under bright lights on a dead straight 1.1km stretch. Australia 's Brett Lancaster took the race but it was the last rider to leave the start house who garnered most attention. Dressed in his customary custom design skinsuit, Mario Cipollini was given the honor of finishing his career in front of his adoring fans. With his long hair flowing in the wind, Mario smiled radiantly waving at the crowds to complete the final kilometer of his astonishing career. All time record holder of the most stage wins in the Giro and the winningest rider in the peloton, the sport will truly miss this eccentric and flamboyant athlete who ruled the bunch sprints for so many years. The Giro itself was a brilliant race that will be remembered especially for its penultimate stage which included two ascents up to Sestriere plus the 18.5km, 9.2% climb of the Colle della Finestre. Apart from being a brutal climb, what made the Finestre special was the fact that for much of the climb the road was unpaved. Fans were treated to 1950's, 1960's conditions and drama to match. Gilberto Simoni, Danilo di Luca and Josè Rujano dropped race leader Paolo Savoldelli. At the top of the climb Simoni was virtual race leader but a combination of cramps and Savoldelli's legendary descending skills enabled “Il Falco” to retain his lead and ultimately ride victorious into Milan. Naturally the 2005 Tour de France will be remembered as the year that Lance Armstrong claimed his seventh straight victory. At Tour time Armstrong is always at the top of his game. This year he vowed to retire from racing after passing the finish line in Paris , but this was to be no easy retirement parade. Possibly the defining moment of the whole race came shortly before the end of the 19 km prologue ITT when Armstrong caught and passed Jan Ullrich. The image of Armstrong closing in on his long time rival will surely feature in many Tour history books in years to come. However, the Tour was a great race. Ivan Basso tried majestically to better Armstrong and the ever audacious and aggressive Alex Vinokourov gave the Discovery team some worrying moments. Feisty to the end, Vinokourov pulled off a spectacular win on the final stage along the highly prestigious Champs-Élysées. All season Erik Zabel fans had watched him come tantalizing close to winning on many occasions. The likeable, aging racer has over 140 wins to his credit but now in his waning years he seems to be losing that little extra needed to take out sprint victories. In 2004 he was runner-up 17 times and in 2005 he claimed 8 second places. But in the Paris-Tours “sprinters” classic in October Zabel showed that his hunger for victory is as sharp as ever when won the sprint finish from a group of tough ‘youngsters'. No sooner had the road season finished than Zabel was on the boards of the Munich six-day race. He is a brilliant racer and a consummate professional. Cycling, like most other sports is greatly impacted by modern technology and big business. To succeed, or for some just to survive, drugs and other methods are employed to be at the top. Fame and big money is the spur. Increasingly the dark side of sport reveals sordid and tragic tales. The Pantani case is particularly sad and shocking. Raimond Rumsas and Dario Frigo appear to have blatantly betrayed the public as well as their own family members. Johann Museeuw is currently under investigation as part of a ring involved in drug use and distribution. The French authorities are claiming that Armstong tested positive during his first Tour win in 1999. 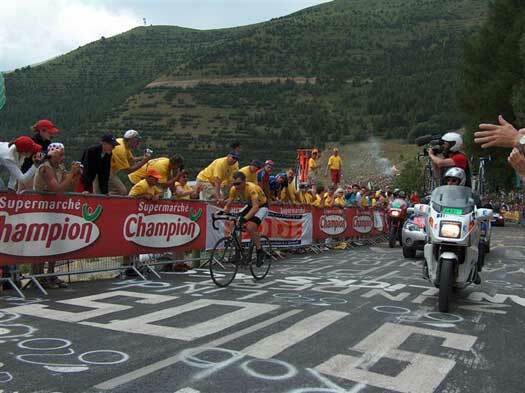 Roberto Heras has just been accused of using EPO during his recent Vuelta win. For the public much of this is very confusing and bewildering. They are inundated with lengthy articles explaining the technicalities of drug use and testing. Lawyers and others claim that the tests are flawed. Ethical conduct is pushed aside by those who should be role models and leaders. Huge cracks in diplomacy have appeared between the UCI and WADA and their respective leaders, Verbruggen and Pound, have conducted a very public and demeaning personal “slanging match” for most of the year. While all this is going on the UCI is trying to implement numerous reforms with the Pro Tour being the most visible. Unfortunately it appears that their approach leaves much to be desired. A decidedly dictatorial stance is not going down too well with many. Most significantly the Grand Tour organizers are in open conflict with the UCI and are threatening to separate from the UCI (and Pro Tour) and run the Tours the way they see best. For their part the UCI states that the Pro Tour will succeed with or without the Grand Tours. This power struggle will continue to dominate in 2006 and further erode a bewildered publics confidence in the leaders of our sport. Bewildering yes, betrayed yes. Ethical and professional conduct is required at the highest levels of our sport. To cycling's governing body “Guilty until proven innocent” seems to be the credo. We want our sporting heroes to win cleanly. Some will cheat and we expect them to be exposed. But in today's chaotic environment driven by specific agendas engineered by our governing bodies who are we to believe? These struggles will continue to be part of the sporting scenario. Above all of this great exploits like those provided by Boonen, Bettini, Savoldelli, Zabel and the entire peloton this past year can be expected in 2006. In just a few weeks time the Jacobs Creek Tour Down Under will herald the start of another year of great racing. Brilliant! Here at Cycling Revealed we delivered on our promise to bring you unique cycling reading. Check out our archive section and relive great stories. Follow the 2005 Tour diary, capture a century of world and cycling history with our 20th Century timeline and follow our series on the Top 25 Tours of all time . Throughout the off season take part in our free weekly trivia quiz. And for 2006 you can be assured of great articles and material that reflect the magnificent richness of elite cycle racing.